What Are The Installation Methods Of The Automotive Relay? A relay is an automatic control device that changes the output when the input quantity (electricity, magnetism, sound, light, heat) reaches a certain value. The Automotive Relay is a relay used in automobiles. 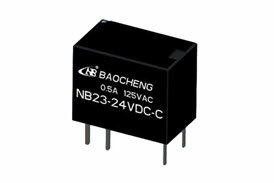 This type of relay has high load switching power and high impact and vibration resistance. So what are the installation methods of the Automotive Relay? Let's take a look at it with Xiaobian! 1. Installation direction of Automotive Relay: If the installation direction is consistent with the direction of the relay's impact resistance, the performance of the relay can be fully utilized. It is recommended to make the impact direction perpendicular to the direction of movement of the contacts and the armature, which can effectively improve the vibration and shock resistance of the normally closed contacts in the non-excited state. When installing, make the contact axis of the relay parallel to the ground, which can avoid contact spatter and char on the contact surface and improve contact reliability. Multiple sets of relays should avoid small load contacts below the large load contacts. 2, close-range installation When installing multiple relays in close proximity, it will cause abnormal heat, generally recommended for 2mm spacing. Mounting a polar or magnetic holding relay at close range affects the operating voltage. 3. Install the relay on the outer casing. Do not remove the outer casing first. To prevent looseness, damage, or deformation, use a spring washer. The tightening torque should be in the range of 0.5 to 70 N·m. 4. 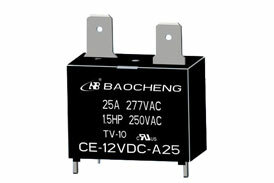 The plug-in relay insertion strength is recommended to be 40~70N. 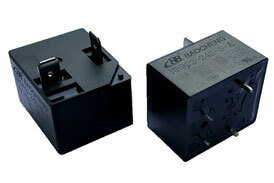 We also have many types of relays such as Power Relay, Telecom Relay, etc. We can provide you with more choices according to your requirements. Previous: How Is Power Relay Wired? Next: What Are The Relays Normally Open And Normally Closed?